REMEMBER, ANYONE OF ANY AGE IS ELIGIBLE TO RIDE! If you have never used our system before, please take a few moments to check us out. Join the hundreds of people making their transportation planning convenient and affordable and easy. Bond County Transit (BCT) can help you get to your destination. Our professional drivers will provide courteous, curb-to-curb service from your home to your job, school, doctor, grocery store, pharmacy, beautician, or other destination. Need a ride? Call Bond County Transit. No expensive fuel! No wear on your car! Limited English? Translation service is available. For the visually impaired, VISUAL MAGNIFIER available at the BOND COUNTY SENIOR CENTER ( 1001 East Harris Avenue in Greenville, Illinois). 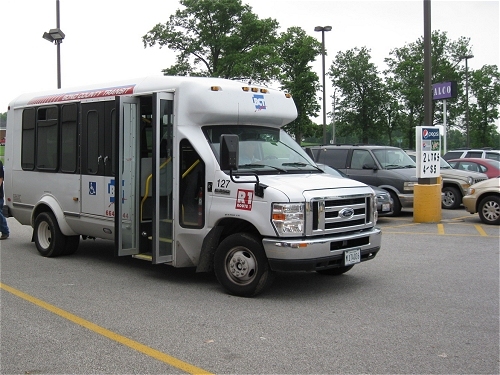 © 2011, www.bondcountytransit.org | Bond County Transit. Design Development and Management by rainofhearts.